If after seeing the headline of this article you guessed that we would be talking about Usain Bolt then you are 100% correct. 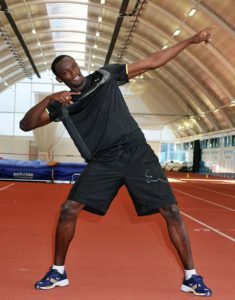 The big man with a trademarked pose (‘To Di World’) is the highest earner in Track and Field history, making a whopping $34 million per year. What makes this figure even more remarkable is that his race winnings only add up to $2.2 million over the course of his ENTIRE career. Perhaps after hearing some of the sums earned by stars in NFL, Basketball or Football that doesn’t seem like a lot to you, but trust us it is. The context for this figure comes in the fact that it is a massive 10 times higher than the next highest paid athlete! As far as we can tell this is the biggest pay differential between professional athletes ever. Our proof is here- at the height of their stardom, Tiger Woods and Michael Jordan (two truly dominant players of their respective sports) only earned a ‘meagre’ triple the amount of the next highest paid player. If that isn’t enough perspective for you then let’s put it this way. His salary is 20 times greater than the average for sprinters. So right about now you are probably wondering how Usain Bolt got to be so well paid right? Well here’s how. Firstly there is his sheer dominance to consider. Bolt was the first man ever to win an Olympic Gold medal in the 100 and 200 meters twice in a row, and he went on to do it a third time as well. He has set world records a number of times and has significantly raised the bar in the world of sprinting. There is also his big personality and ‘star power’ to take into account. Bolt earns from one appearance fee than most professional sprinters will earn in an entire year. His personality is so big that he sells out entire stadiums almost on his own. 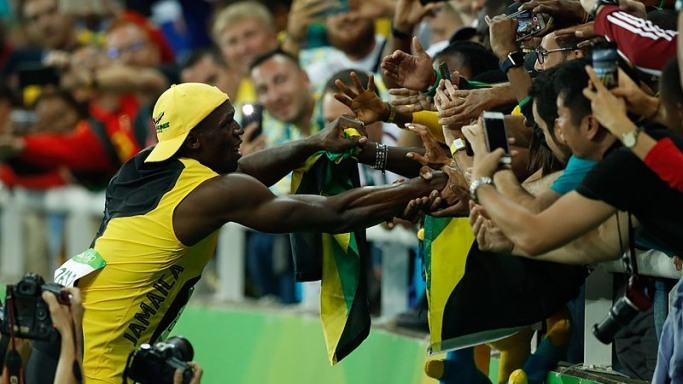 Most of the record ever event attendances can be traced back to Bolt’s participation in the meet. Finally, all of this when aligned to the fact that Bolt has never been involved in even a hint of off the track controversy has led to Bolt earning himself some massive endorsement contracts. His deals with Visa, Hublot, Sprint, and Virgin Media all earned him big bucks. He was also given his own flavor by Gatorade- the Gatorade Bolt Lemon-ice. None of these deals however, compare to his deal with Puma which is worth more than $10 million per year and is set to run right the way through to 2025, a full 8 years after he is scheduled to retire. This deal from a company he has been with for his entire career, earns him more than stars as big as Cristiano Ronaldo earn from Nike. His other global endorsements are all worth $1-4 million, which though may seem small in comparison to his Puma endorsement are still are still life changing amounts of money for most of us. In addition to this Bolt also has seven regional sponsors that he partners with. 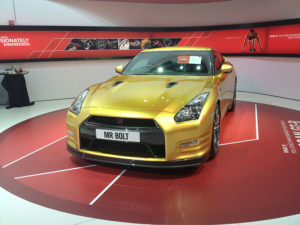 It’s not just sponsorships that make Bolt his money though. He has recently started his own shaving company known as ‘Champion Shave’. In addition to his huge personality and the attention he draws to each and every single one of this races Bolt commands huge appearance fees. Each appearance he makes worldwide typically earns him a minimum of $400,000 which certainly adds up considering that he normally runs at least 8 of these races per year. All in all it’s easy to see that Usain Bolt by being himself, working hard and enjoying what he does has changed the face of track and field, both on the track and off it too.